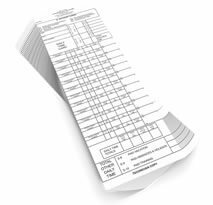 Save time and money – take control of Technicians’ time with these three-part, self-adhesive time cards. These are the same time cards used in the Managing Team Labor workshop and successfully implemented in repair shops all across North America. Available in quantities of 500.